[He] was an eminent Harvard psychiatrist, psychoanalyst and Pulitzer Prize winner whose clinical work focused on dreams, nightmares and adolescent suicide. In 1990, he turned the academic community upside down because he wanted to publish research in which he said that people who claimed they had been abducted by aliens, were not crazy at all. Their experiences were genuine. Mack initially suspected that such persons were suffering from mental illness, but when no obvious pathologies were present in the persons he interviewed, Mack's interest was piqued. "What are the other possibilities?" asked Mack. "I would never say, yes, there are aliens taking people. [But] I would say there is a compelling powerful phenomenon here that I can't account for in any other way. It seems to me that it invites a deeper, further inquiry." "Do I question my own sanity? Absolutely, every day, because the world says you're crazy for having these experiences. 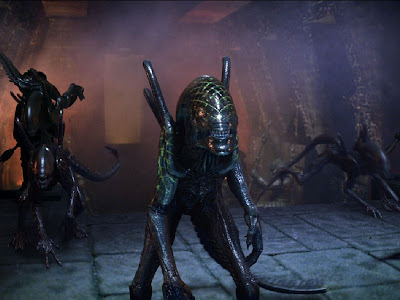 But if it was only me who had had intimate experience with female aliens, producing hybrid offspring, I would say I'm certifiable, put me away, I'm crazy. And that's how I felt when I initially had these experiences. My wife thought I'd lost it. But then I began to look at the experience outside myself and realised that hundreds, if not thousands, of people reported that exact same experience. And that gave me sanity. That gave me hope. I knew I couldn't be fantasising about this." 1. He was sent a letter informing him that there was to be an inquiry into his research. It was the first time in Harvard's history that a tenured professor was subjected to such an investigation. John Mack decided to fight back and hired a lawyer, Eric MacLeish. There followed 14 months of stressful and bitter negotiations. Eventually Harvard dropped the case and a statement was issued reaffirming Mack's academic freedom to study what he wished and concluding that he "remains a member in good standing of the Harvard Faculty of Medicine". 2. He was killed by a car in 2004, in north London, shortly after leaving a Tube station. At the time he was visiting the city to deliver a lecture on his Pulitzer Prize research in 1977. 3. [He had] the support of Laurance Rockefeller, who also funded Mack's Center for four consecutive years at $250,000 per year. Whatever one thinks about the alien issue, the problem Mack poses is that he was one of the most highly regarded tenured professors, his style was empirical and straightforward and his conclusions mildly stated. The extension of a new world view that derives from our experience of the interdependence and interconnectedness of all living things, together with a recognition of the fragility of the earth's ecosystems, will be an important step in the preservation of the planet. But blowing the traditional Western mind is not enough. Leadership and action on behalf of life and the environment will be required. We will need to take risks and expose our vulnerabilities. Perhaps it has always been so, but I am struck by how many of the political and intellectual leaders I admire for their efforts on behalf of human life have spent time in prison. Facing up to the established order, taking a stand with one's whole being, exposing one's vulnerability, and risking the loss of personal freedom all seem to inspire both leaders and their followers. With a world view like that, no wonder his conclusions have sat uncomfortably with certain sections of society. Some in Ufology think Mack's accidental death was suspicious. I read his books (before he died) and think he was highly influenced by new age thought (many of his clients believed themselves to be hybrids and also married to 'aliens'). Another tenured professor (of History) at Temple University - David Jacobs, has been in the abduction scene longer than Mack had. His conclusions are much darker than Mack's, but I think he's on to something - re. the negativity and selfishness of the 'aliens'.